The Traditional U-Shaped Shower Curtain Rail from the Downton Abbey Collection, ideal for creating a period look in your bathroom. Features quality brass tubing with ball joints and flange wall/ceiling mounts. 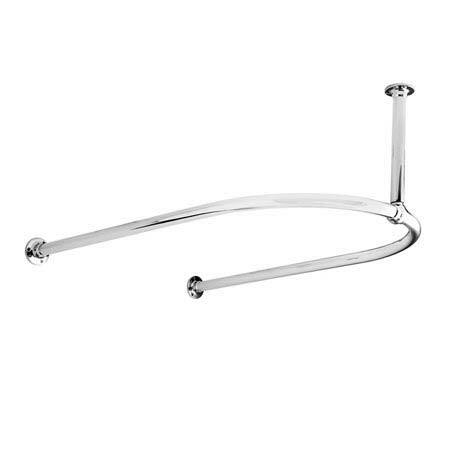 Add the finishing touch to your traditional bathroom with the high-quality U-shaped shower curtain rail. Ceiling legs are not adjustable and supplied at a fixed length. Not supplied with screws to fix the rail to the ceiling.